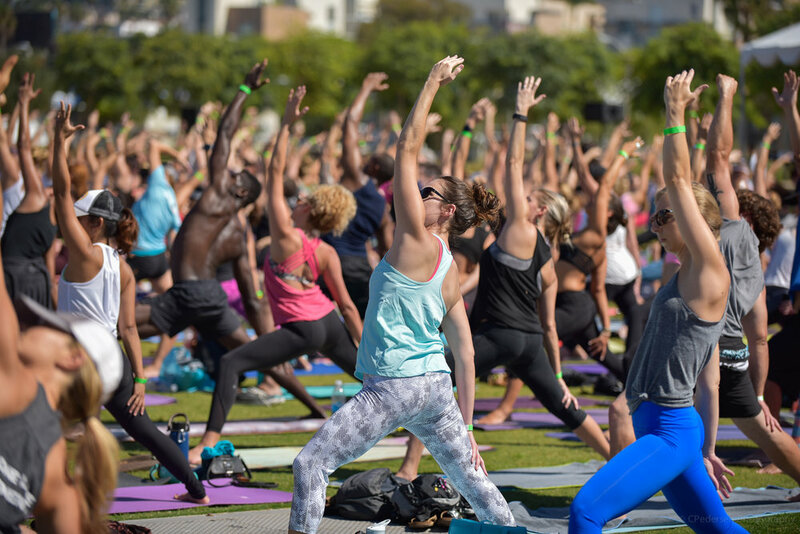 San Diego yoga DJ Justin Kanoya, with yoga teachers at the One Love Movement yoga event in San Diego on September 24, 2016. The One Love Movement was founded by Kim Bauman in 2011. It is a nonprofit organization with a mission to aid underserved youth. 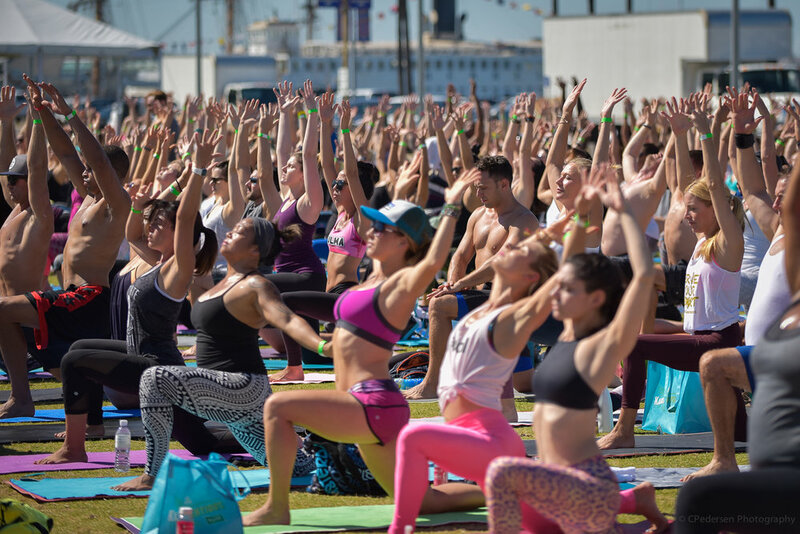 The annual fundraising effort for the organization comes in the form of a large, outdoor yoga event held in San Diego. This years event took place on September 24 at the San Diego Waterfront Park. Hundreds of yogi’s joined in on a 90 minute flow that was led by Kim and five other teachers. Accompanying the yoga was live music from Hollen Lockwood, Matt Huz and myself. It was a lot of fun collaborating with both of them and setting the tone for a morning of gratitude, love and sun. Participants form a large om circle at the One Love Movement event in San Diego on September 24, 2016. Here’s the setlist for the entire morning. Musicians Hollen Lockwood, Matt Huz and DJ Justin Kanoya at the One Love Movement yoga event in San Diego. Photos courtesy of the One Love Movement, Charlie Pedersen.